See more London Fog Raincoats and trench coats. We check over 450 stores daily and we last saw this product for $158 at Macy's. 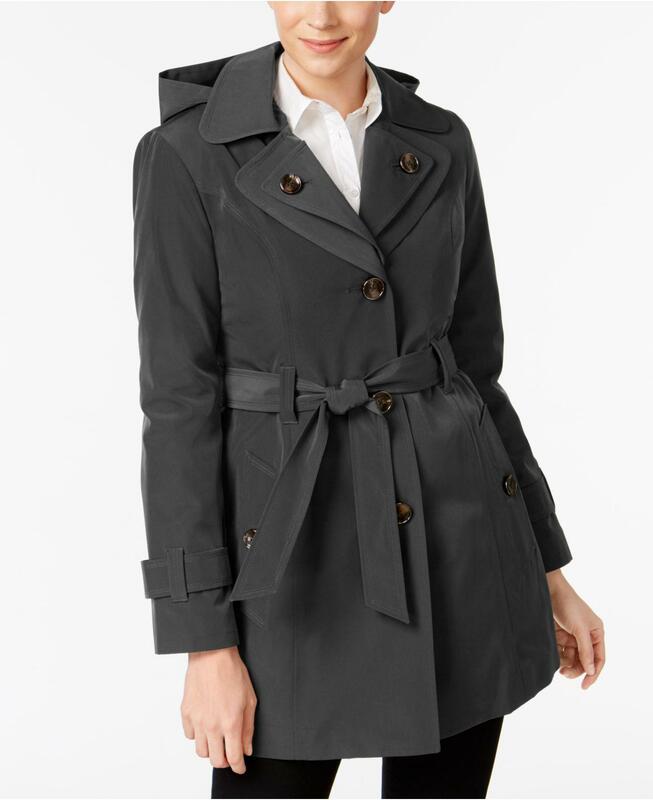 Chic details update the classic style of this trench coat from London Fog for a modern you. Double-notch collar; hooded. Single-breasted button closure at front. Long sleeves with button details at cuffs. Slit pockets at waist. Belted. Lined. Mid-weight. Hits at mid-thigh; approx. Length: 33". Slit at back hem. Shell: polyester; lining: polyester/cotton. Machine washable.